The United Kingdom has always been globally differentiated as a hub of academics. It is one of the most sought after destinations for studies by international students. In this light and to further strengthen its relationships with the country, India has made a strong pitch for the recognition of the CBSE certificates in the UK universities. 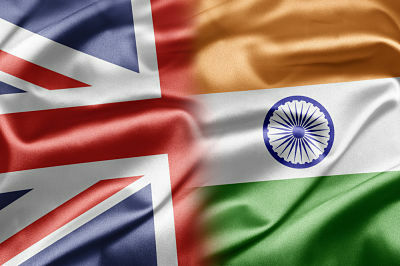 On June 10, India has urged the United Kingdom to remove barriers that hinder Indian students’ mobility. Smriti Irani, Human Resource Development Minister also urged the British High Commissioner James David Bevan to look at the possibility of keeping the International English Language Test System (IELTS) score valid for three years, which is currently valid for a period of only one year for the purpose of admissions in the UK Universities. International students are required to take IELTS (International English Language Test) for their admissions in the UK, which is regularly administered by the British Council. Smriti Irani stressed that the foundation for this collaboration should be to eliminate barriers that obstruct the mobility of students. Giving examples, she highlighted that while India’s CBSE certification is recognised by prestigious universities like the Oxford, most other universities in the country do not do so. The Minister also laid stress on making the visa norms more facilitative for the Indian students. Apart from this, the other areas of collaboration between the two nations that were highlighted were collaborating for the Massive Open Online Courses and the National e-Library that is being planned to be developed by India. Sharing of expertise in the field of school education & training for teachers were also discussed. The High Commissioner re-emphasized that there was a keen interest from the UK government to strengthen its partnership with India in the field of research and education.